The China Pakistan Economic Corridor is a game changer for Pakistan that has too long been embroiled in the war on terror, which hampered the economic growth. CPEC could change the economic map of Asia. The shift in attention from Pacific Rim to South Asia may be happening at last. When there are benefits there may be some risks involved as well. CPEC will definitely benefit Pakistan, as the cost of the whole scheme, that is, direct investment of China has constantly been going up considering it started from USD 40 billion. The overall planned investment and building structure has now gone beyond USD 50 billion. Why is it so important for Pakistan? For the first time in the country’s history there is national consensus on CPEC. The military and political leadership are both on same page. All the political parties have welcomed the project. There were some reservations from Khyber Pakhtunkhwa and Sindh governments. These have been removed by the Pakistani federal government and China. Some ongoing development projects as well as some new ones are being started in these two provinces. Now CPEC would benefit all provinces of Pakistan. The mega project would generate jobs for thousands of Pakistanis. We would need economic managers, banking staff, security experts, communication skill holders, etc. A large number of Pakistanis are already undergoing training in China for some of the tasks. The CPEC project will link China to the deep water port of Gwadar and the port of Karachi. It is expected to be a lucrative new trade route. There are nearly 200 projects related to CPEC that would improve the infrastructure of Pakistan and also help in ending the energy crisis. It is must to understand CPEC in its entirety and not just some projects going on in Pakistan. Its announcement may have come as a surprise for only some people. The world had been watching the developments taking place in this region for more than a decade. China has emerged as the world’s second largest economy and a force to reckon with. Gwadar port was not built overnight. The work at the port started in 2002 and it was inaugurated in 2006. CPEC is part of China’s One-Belt-One-Road (OBOR) plan which aims at expanding its trade relations with countries of Europe, Africa and Middle East. The first freight train from East China to UK arrived some days ago at London in 18 days after travelling 12,000km. What was envisioned by Chinese leadership has started happening. The direct route from Kashgar to Gwadar is also a reality now. In mid-November the first Chinese ship left the port of Gwadar with containers filled with goods from East China. CPEC would be linked to Central Asia, a market that we have not been able to tap. Central Asian states would have access to the world through our ports. The OBOR plan envisages six corridors with CPEC being one of them. In Corridor 2 that has Pakistan, Kazakhstan, Uzbekistan, Turkmenistan and Iran in it has also great potential. The other corridors may also work. The OBOR plan was made in order to ensure that China keeps its growth momentum and its shipping routes remain open if at some point the Straits of Malacca route get choked. China has disputes with Philippines, Vietnam and Japan. Already USA President Donald Trump has pulled the USA out of Trans-Pacific Partnership, which was an alliance made against growing Chinese clout. South China Sea may become politically turbulent as China has no allies in the Asia Pacific region. There are chances of stand-off with the USA. CPEC is an alternate route for shipping China’s goods to rest of the world. Thus the grand project is not only important for Pakistan but also vital for China. Also CPEC projects complement the China’s Western Development Plan for its provinces of Xinjiang, Tibet and Qinghai. All these provinces are underdeveloped and did not get the same attention as East China did in its development goals during the reforms that transformed the country into an economic power. Balochistan is the most underdeveloped province of Pakistan. CPEC may bring in the much needed development. It would prove to be a boon for the people of Gwadar, which would now be able to get modern hospitals and educational institutions. Gwadar would have an international airport, whose traffic volume would grow in coming years. 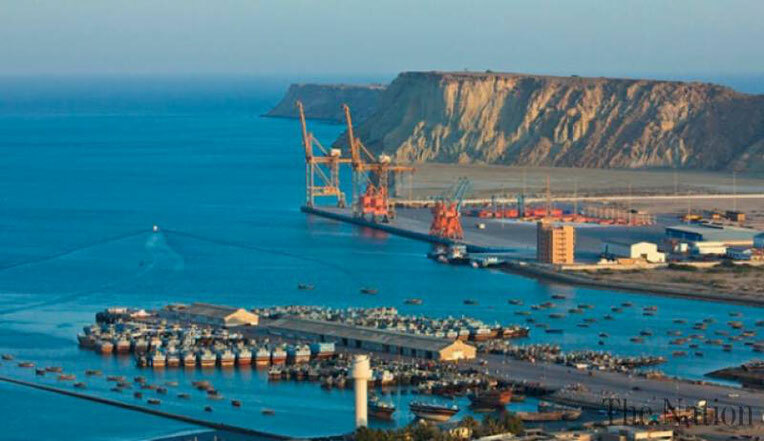 Proposed Pak-China Technical and Vocational Institute at Gwadar to be completed at cost of Rs 943 million would train local people to operate machinery at the port. There is plan to develop and boost the seafood industry to bring prosperity to local fishermen. Many countries have shown interest in CPEC. UK and Germany have want to be part of CPEC. Iran has also wished its desire to join it. India and Afghanistan could benefit the most. If India continues to criticize CPEC it may prove to be the biggest loser in this whole game. It should join CPEC to bring prosperity to the region. China has secured exclusive rights to run Gwadar port for the next 40 years. Even if there is change in governments in Pakistan and China the continuity of CPEC has been ensured. Political scientists across the world capitals, however, are concerned. Pakistan has long been ally of USA and the shift is of concern to many. Some politicians like former foreign minister Hina Rabbani Khar while welcoming CPEC have expressed apprehensions that Pakistan should not put all eggs in one basket. Direct foreign investment of China is good in view of the fact that foreign as well as domestic investors had stopped. The economic zones to be set up across Pakistan would no doubt generate good economic activity. However, we also have to keep in mind our own industries. Our textile and other exports have declined in recent years while no new industries were being set up. What if our industries started closing down as more Chinese goods become easily available in Pakistan? That aspect needs to be looked into as it may cause unemployment at large scale. Also we are not producing educated labour for future industrial set-ups. Despite the ebbs we have seen in the last one decade CPEC is a ray of hope and hopefully the much needed game changer. It is hoped that the infrastructure boost will bring work, prosperity and not end up as mega projects of the past like the Lahore – Islamabad Motorway that still eludes the purpose it was built for and mostly remains traffic free. This news was published in The Nation newspaper. Read complete newspaper of 28-Jan-2017 here.